Is Drone Insurance for You? Current space telescopes are… big. You can’t really avoid it given the need for giant lenses and bulky sensors. 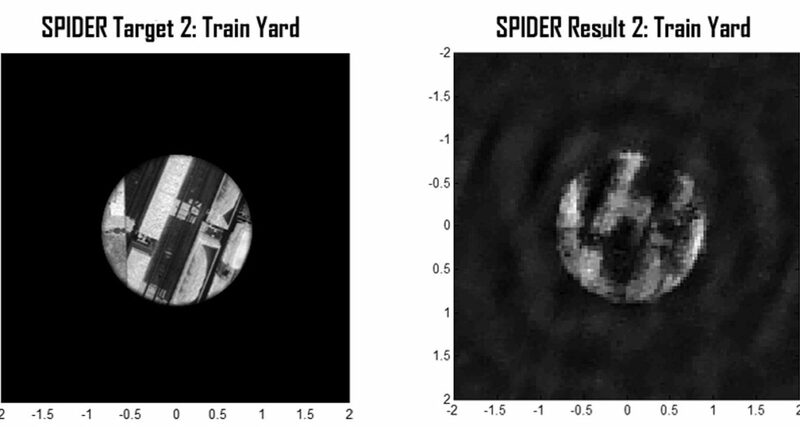 Lockheed Martin wants to fix that — the aerospace firm has just released the first images from SPIDER (Segmented Planar Imaging Detector for Electro-Optical Reconnaissance), an optical instrument that promises pictures as sharp as what you’d get from a space telescope in a sensor that’s just an inch thick. Instead of using a handful of monolithic lenses, it relies on a legion of small lenses whose data is divided and recombined using a photonic circuit. The initial results aren’t spectacular, but they hold a lot of promise. As you can see below, the images are fuzzy compared to the source material. However, it’s important to remember that this the prototype of an entire optical system that’s much smaller and lighter than what you’re used to — in that light, it’s fairly impressive. And Lockheed expects it to be more affordable, especially since you wouldn’t need as large a vessel to launch a telescope into space. If SPIDER enters service, more countries and companies could consider building their own telescopes. Lockheed adds that the technology wouldn’t just be limited to spaceborne uses. UAVs and other drones could look directly below them without needing a heavy, conspicuous camera underneath, while self-driving cars could have sensors that blend into the chassis. You probably won’t see this tech show up in your next smartphone, but it could help with many larger devices where an optical system’s size and weight can make a big difference. Still we are proud Drone Captain contributed 195 great entries.